Indian ethnic ensembles are available in a huge variety. Often the ones we buy for special occasions are ornate and embellished, crafted in myriad fabrics and detailed designs. Interesting, sometimes complicated, trimmings, weaves and embroideries give them their special appeal and texture. Among the Indian Ethnic wear range, Sarees make for great buys, as they are versatile and fluid. You can wear them for years, at any age, and play with a variety of looks, by simply changing drape styles and blouses. Even accessorizing a saree differently changes the entire look. Dressy Salwar Kameez and Lehenga Choli too tend to be a part of wardrobes for a long time. There are many ways, one can re-construct and re-invent them. Among the Indian Ethnic wear range, Sarees make for great buys, as they are versatile and fluid. You can wear them for years, at any age, and play with a variety of looks, by simply changing drape styles and blouses. Even accessorizing a saree differently changes the entire look. However, what remains the most troubling part with these expensive purchases is their maintenance. Given all the sheen and glitter, metallic borders, fabrics and color combinations, maintaining them in their top, new-like state is quite difficult.The maintenance specially becomes a pain, when the garment is low quality. Sometimes colors bleed, or the fabric itself gives it away - redemption unlikely! Even high quality costumes need care and tender love, or they may lose their pristine quality. For example, real Zari needs very specific care, or it becomes discolored. 1. How to care for sarees and expensive ensembles? • Pure Zari, used on saree borders, pallus, dupattas, kurtas, cholis and blouses, is vulnerable to oxidation and chemical exposure. • Same is applicable for other metallic finishes, rich embroideries like Zardozi, Gota Patti and Kundan work. • Weaves with metal and pure silk threads - Banarasi, kimkhab, brocade, Kanjeevaram etc. – are also susceptible to environmental degradation and aerosols. • Thus, be very careful, when wearing or storing these. Guard against make-up, perfumes, hair sprays, deodorants, facial mists etc. • DO NOT put naphthalene balls and other moth/rodent-repellents in direct contact/ proximity to these garments. 2. How to maintain silk sarees and anarkalis in top shape? • Avoid washing your delicate Indian garments after every wear. • Round off grooming, make-up and hair, before donning your outfit. If you can’t do so, in case of form-fitting or small/collared apparels, cover your outfit with a dressing gown/ towel, as you get ready. • Guard against stains and spills, as far as possible, as restoring a dress in its original state, once it is stained heavily is almost impossible. 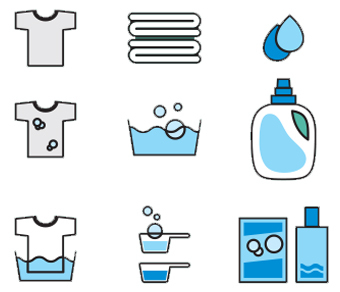 • Keep good personal hygiene, so your garments are fresh, even after one wear. If you tend to sweat a lot, and you often notice heavy sweat stains on your outfits, do wear sweat absorbing pads/ disposable underarm shields under your expensive silk blouses, cholis or kameez. • Silk Sarees – Experts maintain that silk sarees shouldn’t be washed recurrently, or they would lose their sheen. Same goes for dry-clean only sarees. Hence, avoid washing/ dry cleaning your rich silks after every wear. Instead, dry them well, steam-iron (at the lowest heat setting), dry again and store. • DO NOT iron your expensive garments and silk saris on high heat settings. Steam Iron is the best, but costumes must be dried well before after steam ironing. 3. How to wash and dry clean saris and ethnic outfits? • Embellished Ethnic wear – Most ornate ethnic wear and heavy sarees come with a ‘Dry Clean Only’ instruction. Follow that meticulously. • Invest in trusted and authentic dry cleaning services. They may cost more, but this extra cost is worth, if it saves your precious outfits from damage, fading or dulling. • Home Wash - Some silk sarees, especially the heavy thread count ones, are traditionally washed at home. Plain georgettes, satins and blended fabrics are also washable. o Use good quality, gentle detergents, meant specifically for meant for delicate silks and wools. o You may also use soap-nut or reetha. NEVER use hot water for delicate clothes. o Bleach, dyes, harsh stain removers must be kept at an arm’s distance from these expensive purchases. o Even if a garment does not have a DRY CLEAN ONLY label, first check it for color-bleed on a small end of the fabric, before hand-washing it. o DO NOT put any embellished or silk outfit in the washing machine! 4. How to dry delicate sarees and apparels? • DO NOT wring or squeeze delicate costumes, while drying. • Heavy, washable sarees and outfits must also NOT be left hanging, dripping water on clothes-lines. Water adds weight. Hanging dripping clothes can lead to loss of shape. • To dry without squeezing - roll your silk saris, blouses and salwar suits in clean, absorbent cotton cloth or a light, neutral coloured towel. Press gently from all sides - to remove water. • Now, preferably, spread them flat on a neutral surface to dry. • Be careful to NOT spread garments on polished/ painted surfaces, fences, walls,as they (surfaces) may leave stains. 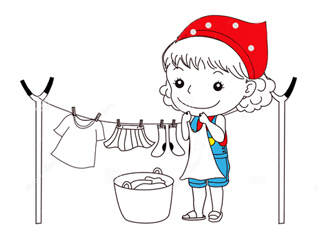 • When drying, be sure to separate clothes with bleeding colours. Do not lay dark coloured outfits over light ones, or vice versa. • Dryingin direct sunlight is a NO NO.Always dry in shade. • Avoid washing/ cleaning and storing heavy garments on days, when it’s too humid, as this would leave them damp and mouldy. 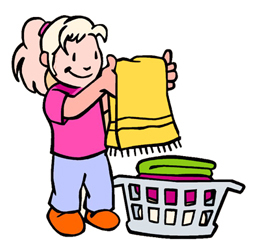 • Ensure garments are completely dry, before taking them off for storage. 5. How to remove stains from sarees and lehenga choli? • Treat stains as an emergency. Don’t postpone dealing with them. • Oilystains -Sprinkle unscented talcum powder on the stain, and let it sit, so it absorbs the oiliness. Rub gently; remove the blotted powder; wash, if needed. • For tougher stains, consult seller. Many upmarket brands and designers offer personalized cleaning and stain removal services. This additional cost may pinch you, but it will ensure that your outfit remains pristine. • Petrol for stains – Use a cotton ball dipped in pure (without oil) petrol to wipe off coffee, tea or gravy stains from your silk sarees. • Food stains – Let the stain dry completely. Gently rub and remove the dried stain. Use a baby’s brush to dust off the dried material. Blot with talc and wipe gently with a slightly wet satin cloth. Wash or dry clean. 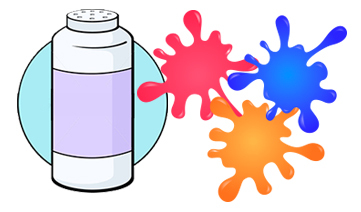 • Borax/ Boric Powder for stain removal – Use mild solution of borax on washable outfits to remove tough stains. Wine, juice, sweat, tea stains can be removed with borax. Be gentle, and use sparingly. • Blood Stains – Blood is a protein; it will coagulate on heating. Always soak blood stained apparel in cold water, or treat with ice cubes. 6. How to store sarees and expensive Indian-wear at home? • Ensure your sarees and outfits are clean and dry, before storage. • Store expensive apparels in clean, dry and dark cupboards. Damp or moth/ termite infested wooden wardrobes/ drawersMUSTNOT be used. • Avoid leaving structured/ embellished garments hanging on clothes-hangers – exposed to air, mites and dust. Many ensembles, including chiffon and crepe sarees, lose their shape, when left hanging for long. • Instead, wrap heavy outfits and sareesin plain, colorless, un-starched cotton/ muslin (mulmul) fabric. Do not hang; lay flat; wrap from all sides. • Heavy weaves like Banarasi, Tanchoi and Jamdani need special care. Be careful, while storing them. Store silks separately from other fabrics. • Silk sarees may be hung on good quality, steel hangers. DO NOT use rusted, iron hangers. • Store once-worn garments very carefully. There should not be any sweat, oil or food stains or grime. Dry clean, if there is any. Air and dry the apparel entirely. • Keep changing folds of stored sarees and ensembles. Refolding them from time to time will ensure that the fabric doesn’t tear from the creases. While heavy silks may fade from creases, weaker fabrics like tissue, organza, kora silk and tussar may tear off, iffolds are not re-arranged for a long time. 7. How to revive damaged sarees and ethnic garments? Quick Redemption is a must! • A stitch in time saves nine! Well this nugget of wisdom rings absolutely true in case of Indian Ethnic ensembles. Do not wait for a little chink to become a big hole. Any lose thread, fabric flaw, unraveling stitch or coming off button/ embellishment must be mended, as soon as possible. • If you notice some fabric flaw or embellishment issue in the first wear itself, take back your ensemble to the retailer to get the issue sorted. 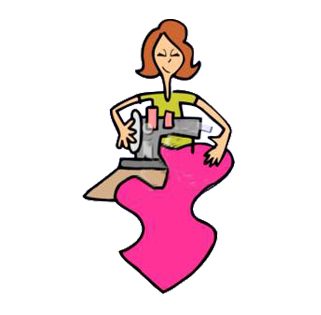 • Get your garments professionally darned, if fabric tears off, even a bit, in your dress or sari. • Sew lose embroidered bits or buttons, at once, or you may lose them. • Lining materials used in stitched apparels like suits, blouses, cholis, lehengas, churidaars etc. can tear off, especially if the garment is form fitting. In such a case, if the stitching has come off from the seams, get the lining stitched back, before re-wearing the garment. However, if the fabric itself has given away, consider getting the lining replaced or mended professionally.